Played golf in the Land of Enchantment last weekend. The scenery, food, company and golf courses were first rate. Some of the signs around the course amused me. Does the Texan look like he is staying aware or does he look scared s**tless? He ain’t afraid of no venomous snakes! Moi….staying aware. They really don’t want you to waste time looking for lost balls. 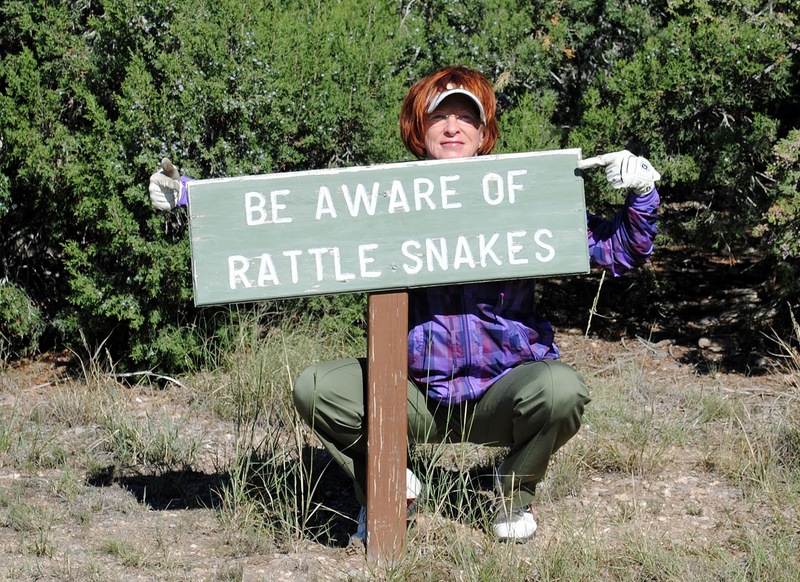 Snakes here, don’t bother searching for errant balls….move along. Be aware-not afraid or running around like a chicken with his head chopped off! Calm awareness is key. Here are some other potential dangers to bring to your awareness. Try NOT to be frightened. Caught this criminal one evening while I was trying to trap ANOTHER feral cat who shows interest coming in my doggie door. I released him for good behavior…he inhabits the hill behind my house. This awareness poster somehow reminds me of the next awareness poster. The card shark wiener dog! I KNEW you’d complain if I didn’t include her in your awareness. Be VERY afraid. Run for your life……. Remember…..practice calm, safe awareness the remainder of this week. 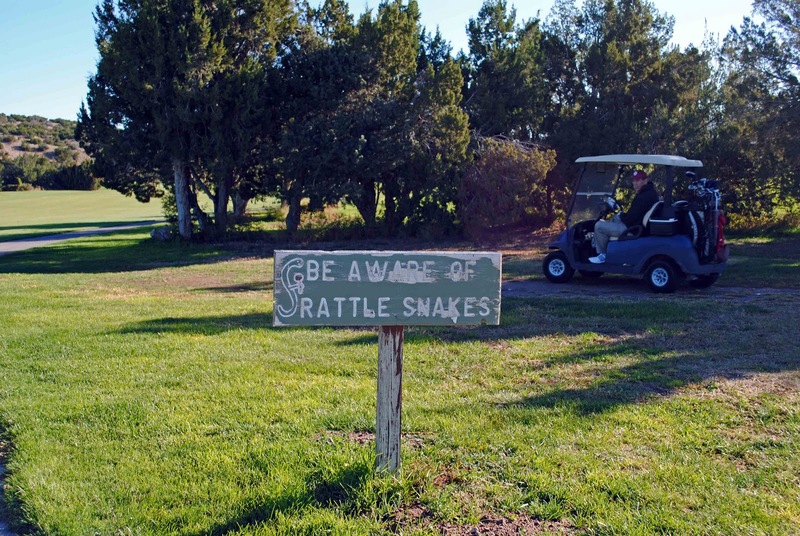 Hopefully, you won’t meet a rattlesnake or a runaway golf cart. Stay safe, people.